I've been using Windows since before "Windows for Workgroups 3.x" and have used most of the Windows releases since, on a wide variety of cheaper than cheap computers and platforms that are slower than slow. 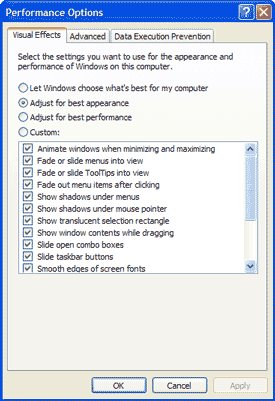 I'm always interested in new ways to maximize speed and over the years I've picked up quite a few little tips on how to max out your Windows PC. I am not fond of being forced to use MS, and am not a MS expert, so I hope all you Windows peeps will share your tips with us.. And some of these tips can crash your machine if you don't know what you are doing. UPDATE: Part 2 covers the advanced defragmenting tools and methods. This is what Intel and AMD commercials are about, this chip functions like a calculator, computing all the data. This is a glorified CD-ROM Disc that is much faster and has a higher capacity than a CD-ROM. This is where all your files and Operating System is stored on. Data that is frequently accessed is stored in RAM instead of the Hard Drive because RAM is much much faster. This is literally a file that is stored on your Hard Drive and is used as a form of RAM when you run out of real RAM. Much slower than RAM (because it is located on the hard drive) it is used to store bits of data used by programs. Reducing the amount of RAM that is wasted by unneeded programs, unused device drivers and devices, background services, visual effects, and various other stuff frees up RAM for your needed programs and processes. 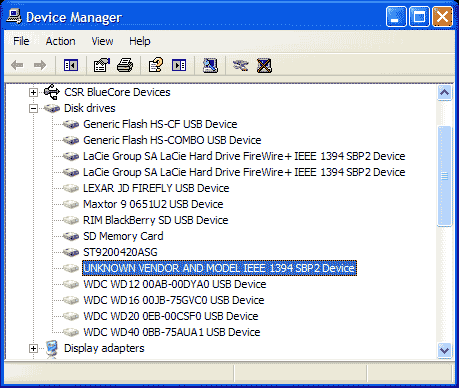 The final step of this article details the Cacheman Software that automatically takes care of everything this article doesn't go into (like registry modifications and hidden tweaks)..
Reduce Amount of data on drive by removing unneeded data and configuring optimum settings to prevent buildup in the future. 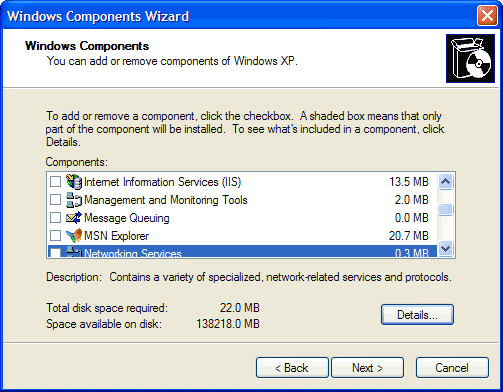 Configure settings which minimize the amount of disk activity, e.g., reading and writing to disk. Defragment the data that is left, and setup an automated system to prevent fragmentation in the future. Almost all of the following tips will help to decrease the amount of CPU processing time that is wasted on unneeded processes. If you have massive RAM like I do, best appearance is nice. To max your speed change to "Adjust for best performance". 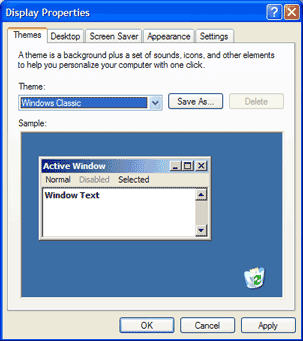 The Classic Theme uses less RAM and CPU than the newer XP themes. Disable all for maximum speed. I like to only leave ClearType enabled. To sacrifice quality for speed, change the Color quality to a lower setting, and lower the resolution if you want. 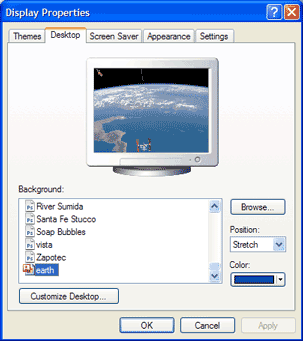 Your desktop is always loaded in RAM, as it is always available to view. So everything that is ON your desktop is likewise stored in RAM. 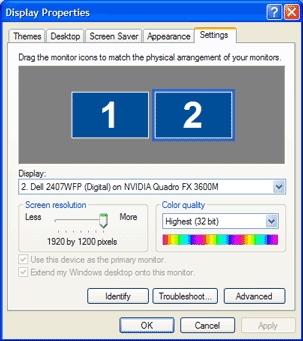 This means that every icon located on your desktop, which is actually an icon file, is loaded in RAM. What I do is instead of a cluttered Desktop always loaded in RAM, I simply create 1 folder called Desktop on my Desktop, and move everything from my desktop to that folder. That way instead of all those icons taking up memory, now only the single folder icon is taking up RAM. Not a HUGE impact, but it illustrates what RAM is and how you can stop wasting it. By setting the background image of your desktop (and folders if you are using custom folder backgrounds) to none, and instead just using a solid color (like blue) you free up RAM. If your desktop uses a high-quality background image (like mine) that is a 5MB jpeg image, that effectively wastes 5MB of your RAM. A solid color background uses none. 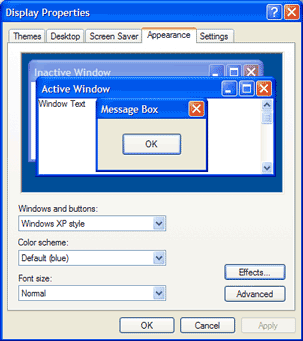 First change the option to "Use Windows classic folders". 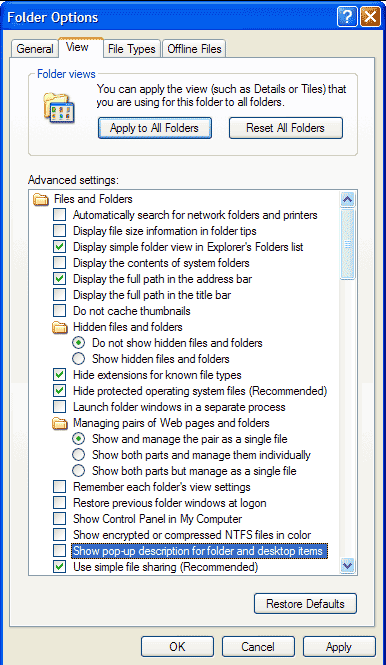 Now goto the View tab and hit the button "Reset all Folders", which will clear your individual folder viewing settings. Then change the options to the ones I have selected in the image for optimum speed, its up to you which options you don't want to change. The searching for network folders is a very real cause of slowness. The optimal way to use a page file is to not use a pagefile and max out your physical RAM. 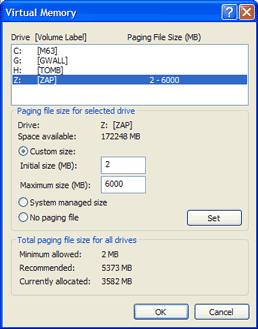 Next to doing that (which Windows won't let you do anyway, they love pagefiling) the optimal setup is to have the pagefile on a 2nd hard-drive-disk. The computer can only read/write data to/from the hard drive at a certain speed, and only a certain amount of read/writes can be going on at one time.. Think of it like a pipe. Having the pagefile.sys on the same disk that Windows and all the Program's are loaded on clogs the pipe and limits flow of data in both directions. Note that moving the page file to a separate partition on the same hard drive would NOT fix this problem or alleviate the bottleneck in any way, so the solution is to get a 2nd hard drive, I personally recommend these 2 $49.99 - 320GB x 7500RPM hard-drives that are very reliable. The size of your pagefile is up for debate, no clear answer, but I've tried a lot of different configurations over the years and here is what I recommend. If you have little RAM (less than 1GB), then you should just let Windows control it. 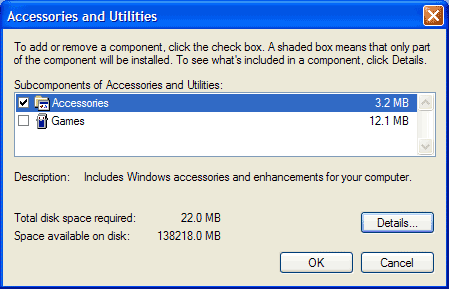 Otherwise use the custom option to set it at a low initial size of 400MB to grow up to 3096MB. I have 4GB of RAM, so I set it to start at 100MB and grow to 5000MB. The general rule is to set it to be 1.5x the amount of RAM you have. Disable any devices you never use, like internal modems, firewire ports, floppy drives, etc.. Also disable them in your systems BIOS if you can. If you have devices that you used on your computer in the past but don't anymore, they are still being loaded up by Windows and at the very least hogging some resources. So go through and uninstall them.. (You have to select View -> Show hidden devices).. If you plug them back in they will be re-installed with the "Found new hardware" wizard. 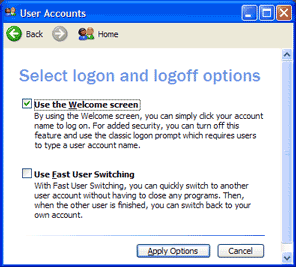 Make sure you disable fast-user-switching unless you absolutely must have it. I've found it to be a cool feature if you are a basic computer user not installing programs or tweaking settings.. Nut it can create big problems if you use your computer for all sorts of *advanced* stuff (advanced for Windows)... Plus disabling it will have some speed improvements. First make sure you export your current services to a backup file before you begin. There are a number of informative articles about this topic on the web. 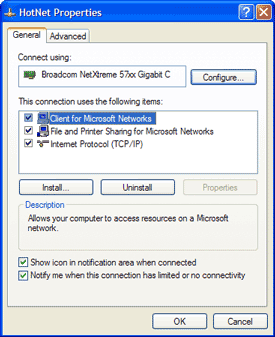 This actually helps a lot and can have a significant impact on your computer speed, much more so than any impact on network speed improvements. These protocols require all sorts of RAM and are kept loaded. They also represent a security risk as it provides another process to be attacked. 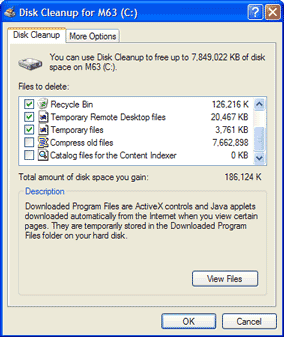 Check the structure and properties of your disks and partitions to see if anything is out of place. Make sure file systems are using NTFS. But some partitions like dell utility partition, or a partition shared by linux/mac/windows on dual-boot systems may be fat or fat32. To convert fat-based to NTFS, defragment MFT, resize NTFS clusters, etc.. you have to use a third part product. I personally use Norton Partition Magic, Paragon Partition Manager, and Acronis Disk Director Suite (plus 20 other various tools). 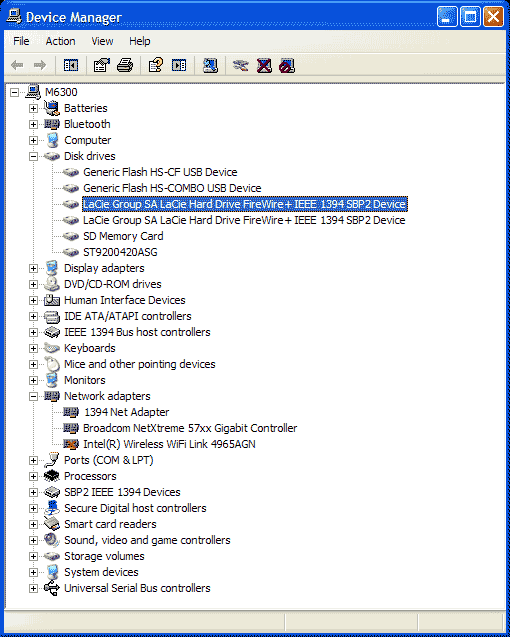 If your lucky or smart enough to have more than one hard drive disk installed, in addition to moving your pagefile to that 2nd hard-drive you should setup the hard drive with at least 2 partitions first. Say you install one of those 320GB hard drives I recommend... 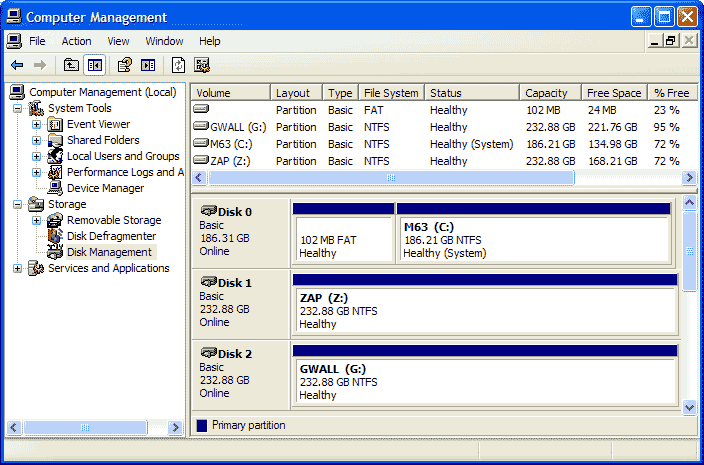 Here's how I set the partitions on the 2nd hard-drive. 6.5GB - S: [SWAP] - First partition is fastest area on drive, this partition is ONLY for the pagefile. 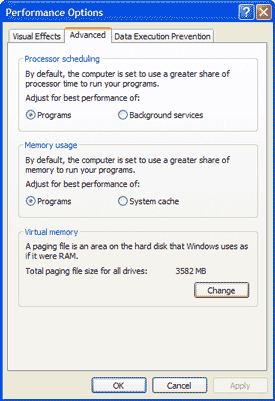 Size is 1.5x the max size of your pagefile setting, or 1.5x the amount of RAM. Setting up the TMP and "Documents and Settings" folders that way is NOT for beginners, its advanced and dangerous if you do it wrong. But definately has one of the biggest noticeable speed benefits. I also remove the Games category which is a subcategory of Accessories and Utilities. 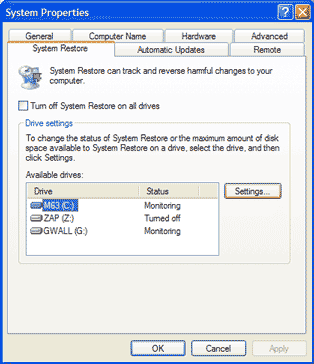 Turn off system restore on any drives that are not crucial... So if you have a 2nd hard-drive that is used for pagefile and temp file storage, turn it off. And you should make sure the settings aren't too generous, I usually never go higher than 10GB. Keep this setting to a low value, try not to delete stuff you will need later. I personally disable the Recycle Bin completely.. but I come from a unix background so I have no issues with misplacing files. 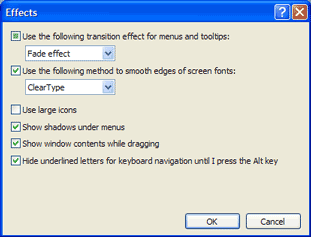 Fonts are loaded up by default by Windows and every time you load a program like Photoshop, Microsoft Word, Outlook, etc., so moving any you never use out of the C:WindowsFonts folder saves RAM and CPU and HD space. This is a bit hairy but I sort by size and then check out how long its been since the font has been accessed by looking at the file attributes. The less fonts you have, the faster your computer, but there is obviously a trade-off. 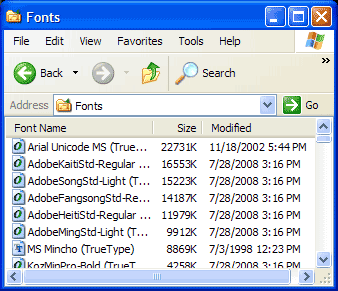 You can move all fonts except for a few basic ones included with Windows to a backup folder instead of deleting them, then reboot and if your font is messed up then move some of the fonts from the backup folder back and try again. 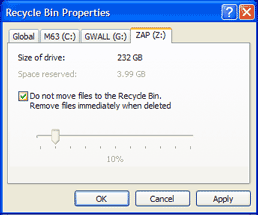 Delete the contents of the C:WINDOWSPrefetch folder and restart the computer. Its good to empty this folder and reboot after major upgrades or about once a month. These 3 tips will have the biggest speed impact for 99% of you, this is some really good stuff. 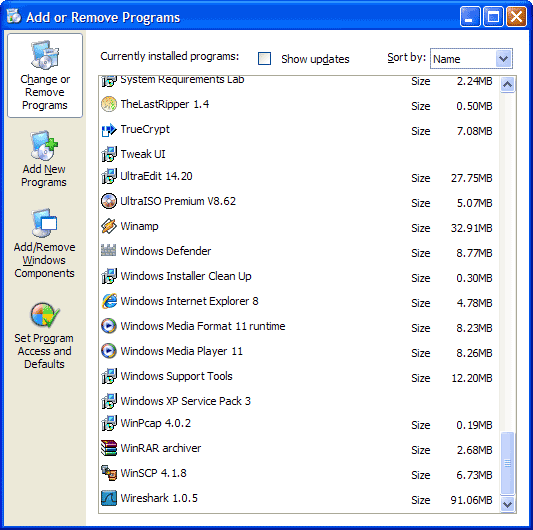 This wizard is a very useful tool that combines several cleanup tools in one location. 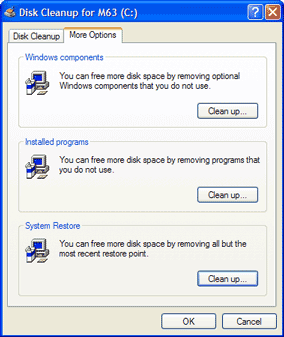 It also provides a way to clean up all past restore points save on your disk except the most recent one.